A core part of HarborLAB’s mission is to extend other groups’ and educators’ work onto the water, but sometimes we jump in to support long-established stewards of our estuary. This month Hackensack Riverkeeper and Bronx River Alliance had big annual events in successive weekends. 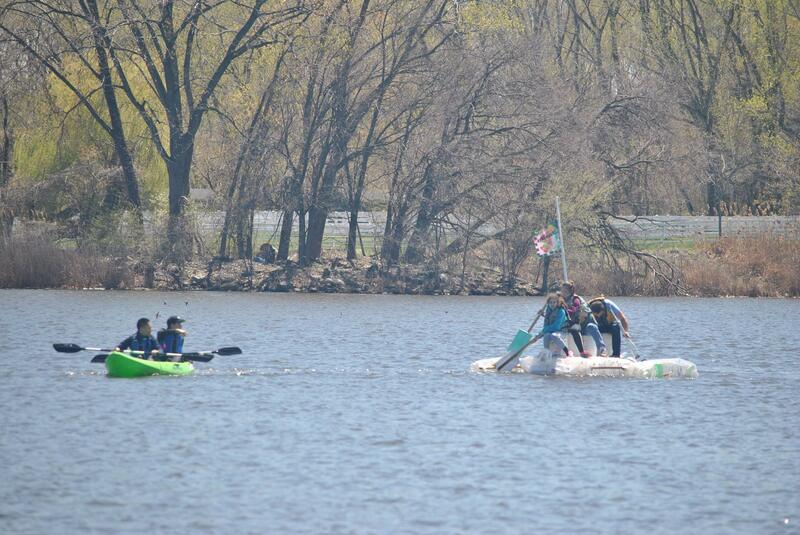 The Hackensack Riverleeper Recycled Regatta at EarthFest Overpeck is a zany competition in which teams race boat made from upcycled materials, right down to the paddles! The Amazing Bronx River Flotilla is a season-opening open invitation to New York City’s only true river. In both cases, HarborLAB provided canoes for public use and kayaks and volunteers as safety escorts. We’re honored to be asked by these terrific organizations to support their much needed work! Hats off to the HarborLAB volunteer leaders who so greatly contributed to the success of these events: Roy Harp, Jeff Lim, and Ray Tan on the Hackensack River and Bob Din and Patricia Erickson on the Bronx River! Great thanks to all of those who volunteered with them! Below are photos from the Recycled Regatta and a few from the Flotilla. Join us next year!